Chicago Illinois is the third largest city in the United States. But few people know it was founded by a black man named Jean Baptiste Point Du Sable. Jean was born in Haïti, the world’s oldest black republic, he moved to St Louis when he became a fur trader. When the British took over St Louis, Jean moved to Peoria, Illinois where Native Americans helped him establish a successful trading business. Jean made many trips to Canada to bring back furs. He always passed a place called Eschikagov that he used as a lookout point. In 1774, he built a cabin there for his family. Other pioneers built stores and homes near this post. The settlement grew into a city that became Chicago. Many years passed before Jean was credited with the founding of Chicago. In 1968, he was finally recognized as the man who founded one of the great cities of the world. 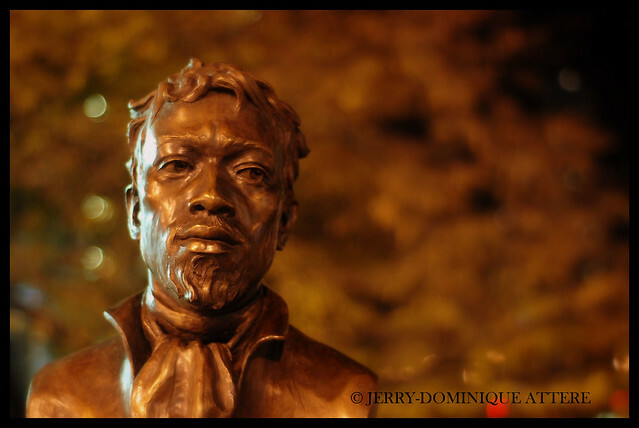 Jean Baptiste Point Du Sable was born in San Marc, Haiti, in 1745. Not very much is known about Du Sable’s early life. It is known, however, that Du Sable’s mother was probably killed by the Spanish when he was ten. In 1764 Du Sable and his friend Jacques Clemorgan moved from Haiti to New Orleans. Du Sable was eventually thankful for moving to New Orleans because it was here that he and his friend Clemorgan met their future partner of a trading post in New Orleans, and later in what would become Peoria, Illinois. The young man Du Sable and Clemorgan met was Choctaw, a Native American from the Great Lakes. At the time, Choctaw was working at a Catholic mission.Du Sable, Clemorgan, and Choctaw later moved to Illinois. It was here that Du Sable and Clemorgan learned the skills they would use later at their trading post. Choctaw taught them things of value for their entire life. They learned how to set traps and where to find martens, small animals trapped for their fur. The three men started a trading post. Du Sable and Choctaw spent their time trapping in the woods, while Clemorgan devoted his time to hauling pelts downstream to New Orleans. Du Sable and Choctaw stayed a little longer than expected, but Du Sable was thankful, for it was during the stay that he met Catherine, a Potawatomi. Du Sable and Catherine were later married. They had two children and lived in a cabin built by Du Sable and Choctaw. This cabin was built on a waterway that is now called the Chicago River. But Du Sable called it Checagou, the name given it by the Indians. Du Sable became well-known for trading goods throughout the Midwest. He expanded his cabin to a trading post, which later became a small community with a church, school, and store. By 1776 Du Sable had commercial buildings, docks, a mansion-house with fruit orchards, and livestock. Pleased with his partner’s accomplishments, Clemorgan went to St. Louis, Missouri, to close his own trading post for fear of damage during the war between Spain and Britain. Du Sable’s trading post was very prosperous. Settlers came to Du Sable’s post from Quebec because of difficulties with the English who enforced strict rules regarding travel and free trade and heavily taxed them. Many wanted to buy land from Du Sable, but he refused to sell the land. Instead, he gave them some land. Conditions, however, deteriorated in Du Sable’s remote outpost. In 1778 British soldiers began to build a fort on Du Sable’s land. They arrested Du Sable and about a week afterward the Indians ambushed more than half the troops at the fort and wounded many others. Thus, Indians became a colonial ally in the American Revolution. In 1800 after Du Sable’s son and wife died, Jean sold his land to Jean Le Lime, an employee of his: Le Lime later sold the land to John Kinzie. Meanwhile, Du Sable moved with his daughter, Suzanne, to St. Louis. Later, Suzanne and her husband moved to Canada and Du Sable lived with his granddaughter. Du Sable bought a house on a farm that he deeded to his grandchildren, Eulalie and Michael. This was on condition that Eulalie care for him and promise to bury him with Catholic rites in a Catholic cemetery. For the next few years Du Sable lived quietly on his St. Charles farm in Missouri. On August 29, 1818, Jean Baptiste Point Du Sable at age seventy-three died quietly in his sleep. True to her word, Eulalie had a funeral mass held for her grandfather and buried him at the Catholic cemetery in St. Charles, Missouri.